Retortable, microwaveable pouches and flexible packs that can 'breathe' are leading the way. Consumers' desire for convenience and their reluctance to sacrifice palatability are opening the door to new flexible packaging materials and styles. Innovations include microwaveable retort pouches, films that "breathe" and new approaches to package resealability. "Convenience is what consumers want," says Eric Bartholomay, product development manager at Toray Plastics (America) Inc. (www.torayfilms.com), North Kingstown, R.I. Addressing that desire, flexible packages that let consumers cook the product in the package are now available. So too is packaging that meets the special requirements of convenience stores and the needs of on-the-go consumers. McCormick chose a flexible package for the Finishing Sauce line "to be innovative and set us apart from the jars," says market manager John Bowman. For both retail and foodservice products, retortable flexible packages that can be microwaved are in demand. "There are a lot of developments in the retort area," Bartholomay observes. "It was initially tuna. Now we're seeing rice in retortable stand-up pouches that can be microwaved." One food processor that stands poised, at the time of this writing, to introduce not only rice but also soup and meal kits in microwaveable retort pouches is Now Foods, Pearl, Miss. Now Foods' products will be packaged in the Sonotort Shatterproof microwaveable retort pouch. Sonoco (www.sonoco.com), Hartsville, S.C., supplies the film for the package, and Floeter Inc. (www.floeter.com), Elk Grove Village, Ill., converts it into pouches. The first product to launch will be the company's Rice Now line of prepared rice dishes, followed by Soup Now and Dine Now. The last is a line of meal kits that will include meat plus pasta or rice in separate pouches. The Rice Now package is an 8-oz., single-serving pouch that fits neatly into lunch boxes, book bags, purses and brief cases. The bottom of the pouch is gusseted so it can stand up in the microwave oven, and a directional tear on top makes it easy to vent the package for cooking. Combining the best of flexible and conventional paper packaging, Patak's Foods Ltd. (www.pataks.co.uk), Leigh, United Kingdom, recently switched to a paper/film laminate package for its Stonebaked Naan Breads. The film is composed of paper that is strip laminated to 12-micron polyvinylidene chloride-coated polyester film and 50-micron polyester. The paper gives the package a natural feel and conveys the product's premium, fresh-baked positioning; the plastic adds barrier properties and product protection. The package is eight-color flexographically printed for shelf appeal but retains a sizeable transparent window on the front panel so customers can see the bread. The company is packaging Patak's Plain and Garlic and Coriander Naan Breads in the laminate. The packages are gas flushed for increased shelf life, and each pack holds two loaves. Amcor Flexibles (www.amcor.com), Gloucester, United Kingdom, supplies the packaging material, called Amcor Panorama. The front and back of the pouch are decorated using eight-color rotogravure, which provides visual appeal. But the gusseted area is transparent, so consumers can see the product. The pouch material is enhanced with a Sonoco-proprietary organic polymer coating. The film's structure, drilling down from the package exterior to the food-contact surface, is (in order) polyester, organic barrier coating, ink, nylon and cast polypropylene. Because the organic coating is more flexible than the aluminum oxide and silicon oxide coatings typically used on flexible materials, the structure is highly resistant to flex cracking and provides better barrier properties than conventional films. "Improved resistance to flex cracking gives us a better barrier over the life of the package, so it should provide better freshness over time," says Angela Adams, segment manager with Sonoco Flexible Packaging. In the prepared-sauce category, McCormick and Co. Inc. (www.mccormick.com), Sparks, Md., has launched a line of sauces in retortable, microwavable stand-up pouches. McCormick's Finishing Sauce products are packaged in 5-oz. pouches made from an adhesive lamination. From exterior to interior, the material's layers are reverse-printed, high-barrier polyester, oriented nylon and polypropylene. According to McCormick, the package has a shelf life of at least 12 months. Ampac Flexibles-Converted Products, a unit of Ampac Packaging LLC (www.ampaconline.com), Cincinnati, supplies the pouches. As with the Rice Now package, the gusseted bottom of the pouch is unprinted so consumers can view the product through the transparent film. For ease of use, the pouch was designed with "cool grip" heat seals on either side of the package. The grips are located on opposite edges of the upper half of the package and offer a safe way to handle the package after microwaving. The half-oval-shaped heat seals keep the hot microwaved sauce from coming into contact with that part of the pouch, making it cool to the touch. The package offers many benefits versus glass jars, which have historically been used to package sauces in the U.S. The pouch "is shelf-stable, lightweight and slim, won't break or chip like glass and has cool grips on the sides," says John Bowman, market manager at McCormick. In addition, the pouch is easy to use: "Just cut the top corner, heat and pour." Bowman says McCormick chose a flexible package for the Finishing Sauce line "to be innovative and set us apart from the jars." He also said the flexible pouches leverage the familiarity consumers have with the company's powdered-sauce mixes in traditional foil and plastic pouches. In addition, the Finishing Sauce pouch builds on McCormick's successful launch of a similar package outside the U.S.
Retortable, microwavable pouches are gaining interest in the foodservice market, as well. La Costeña Foods (www.porsabor.com.mx), Tulpetlac, Mexico, last fall began a market test within the foodservice market of 3-kg (6.6-lb.) pillow-pack pouches of whole and refried beans. To heat the food, foodservice workers either microwave the pouch or place it in hot water. The pouches offer foodservice operators numerous advantages over No. 10 cans. Improved quality of menu items made using the pouched ingredients is at the top of the list. Flexible packaging is a huge saver of labor and waste material in foodservice. 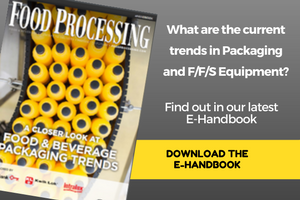 Because food in the pouches does not take as long to process as it would if it were in a can, the product is exposed to less thermal abuse during the retort process. "The food comes out as a better product, a higher quality product," says Frank Bauer, global marketing director with Cryovac Food Solutions (www.cryovacretort.com), Duncan, S.C.
"The product is better tasting and also has better mouthfeel because particulates are kept more whole and the product is not overcooked," he adds. "You can even offer a refried bean product with some bean integrity" versus the mushy refried beans found in cans. As additional benefits to the foodservice operator, the pouches are safer to handle than cans and less costly to dispose of. The pouches are made on Cryovac vertical form-fill-seal equipment using Cryovac Favour Mark pouch material, a high-performance, multi-layer, co-extruded film. A U.S. producer of vegetable products launched a corn product in the Favour Mark pouch last fall, and another currently is working on packaging chili in the package. With a different take on microwave convenience, Minneapolis-based General Mills Inc. (www.generalmills.com) introduced Green Giant Simply Steam frozen vegetables in an 8-oz. container. The package's forming/non-forming film system uses a self-venting feature to control the release of steam; the consumer needn't puncture the package before microwaving. The packaging technology is from Curwood Inc. (www.curwood.com), Oshkosh, Wis., a Bemis company. Curwood also has come out with a self-venting stand-up pouch, a vertical form-fill-seal steam-in bag and a skin-pack format. The last teams a dual-ovenable tray with lidding film that expands during cooking to create a steam-in dome. Prior to cooking, the film conforms tightly to the food, holding it in place and enhancing its appearance. Masterfoods USA (www.masterfoods.com), Hackettstown, N.J., has doubled the branding and promotional real estate available on its Snickers bar wrappers thanks to technology developed in conjunction with Bemis Flexible Packaging's Oshkosh, Wis.-based Milprint division (www.milprint.com). For its Snickers bars, Masterfoods has successfully created a fin-seal wrapper on which the entire back panel is available for promotional messages. On the first commercial example of the package, "Snickers" appears on the front of the wrapper, as usual, and "Satisfies," rendered in the same type size and style, appears on the back. To free up the back panel, Masterfoods and Milprint developed a method for printing the UPC code in the transverse direction on the side of the wrapper and also moved the ingredients declaration information into a box on the underside of the fin. The wrapper is made of the same oriented polypropylene film as in the past, running at the same line speed. Masterfoods reports it is considering using this breakthrough technology for other brands and for additional Snickers promotions. Recloseable devices such as zippers and pressure-sensitive devices also are evolving to offer more convenience. One new format for fin-seal packages uses zipper technology from Zip-Pak (www.zippak.com), Manteno, Ill., to enable opening and resealing down the center of the package. The design offers a wider opening and easier access to the product. An easy-open strip above the zipper eliminates the need for scissors when opening the bag initially, and a patented peel-seal feature below the zipper acts as a hermetic barrier to extend product shelf life and provide tamper evidence. Prior to this technological development, zippers could only be integrated into the short side of a fin-seal package, which meant the consumer had to pull the enclosed tray out of the package to access the product. Performed repeatedly, this action can damage delicate products like cookies and crackers. Not surprisingly, consumers want more than convenience and ease of use in a flexible package. They also want food that tastes good, so the package must protect the product's flavor profile and overall integrity. For produce items, films that "breathe" are one way to achieve these goals. Guadalupe, Calif.-based Apio Inc. (www.apioinc.com), a Landec Corp. subsidiary, uses its proprietary BreatheWay membrane on pouches of Apio Eat Smart fresh pre-cut vegetables to create a package atmosphere suited to the respiration rates of various products, including broccoli, cauliflower and snow peas. Unlike modified atmosphere packaging, the BreatheWay technology does not use gas flushing of filled packages; instead, the membrane regulates the atmosphere inside the package by controlling how much oxygen and carbon dioxide are transmitted into and out of the package. "The product ripens at a much slower rate during shipping," explains Cali Tanguay, a business development specialist at Apio. "Once you take it out of the package it respires normally and ripens normally." The result is naturally extended shelf life and higher quality taste, smell and appearance of the product. BreatheWay membranes with various selectivity ratios are available. The selectivity ratio refers to the permeability of oxygen and carbon dioxide across the membrane. By using a membrane with a carbon dioxide-to-oxygen ratio suited to the product's natural respiration rate, the food packager can slow ripening. The membrane also is available with an optional temperature-switch feature that compensates for moderate temperature fluctuations during transportation. The switch increases the membrane's permeability when the temperature rises, compensating for the product's faster respiration rate at the higher temperature. Chiquita Brands International Inc. (www.chiquita.com), Cincinnati, is using the BreatheWay technology for bananas distributed to convenience stores under the trade name Chiquita to Go. Boxes of 22 single bananas are shipped to the stores in a corrugated container holding a flexible package outfitted with the membrane. Tanguay says the bananas arrive in "pristine" condition-which is exactly what convenience-store customers, who may be paying as much as 75 cents per banana, demand. The packaging technology reportedly extends the bananas' shelf life by four days or more. Chiquita also is in test market with a second application of the membrane technology: Chiquita Fresh and Ready. In this case, three bananas are packed in a rigid plastic tray covered with flexible lidding that incorporates the membrane. Chiquita Fresh and Ready bananas, which are distributed to supermarkets, also carry a premium price over traditional bananas. The premise is that each of the three bananas will be at its prime for consumption, in contrast to the usual problem of overly green bananas at the time of purchase and overly ripe bananas several days later. Apio reports it is currently working to extend the breathable-membrane technology further. It is working with produce packagers to create case liners for tomatoes and melons as well as consumer-size packages for tomatoes and tropical fruit.